I am not much of a writer, but I want to share with you my first experience with MEBO. I first contacted MEBO two years ago when I was in desperate need of finding out what was going on with my body. I asked myself the question, why after so many years of being okay, does this have to happen. I had many, many questions, and after years of visiting doctors, I was receiving the same response, that I was physically okay. At one point, my doctor said to me, “Since we’ve checked everything physically, let’s also check you mentally”. I actually wanted to breakdown a little, but thanks to the many sufferers who shared their stories, I was prepared. I just wanted a diagnosis. I went along with the doctor’s idea, mainly so I did not have to alienate myself from yet another doctor. I consider myself a very strong person, but I had simply enough. There was only one way for me, to find answers! I constantly tell myself “I refuse to let my symptoms get the best of me” and I keep on living, hoping that each week that comes by will be the breakthrough week for me to find answers.After reading about TMAU and stumbling upon the MEBO blog, I contacted Maria to find out about TMAU testing. Days seemed to worsen with symptoms, almost like an annoying burden that keeps following me around. I began to feel it getting the best of me. Without anyone to talk to about my symptoms who believed I had a problem, I sent an email to Maria without knowing if she would even respond to me or not. Sure enough, Maria not knowing who I was, emailed me back with some words of advice regarding cognitive behavior. At that moment my initial reaction was “what”? And I’ll be honest, at that moment, it was not what I was looking for. I wanted an answer, a diagnosis, a prescription, the reason why this is happening to my body. 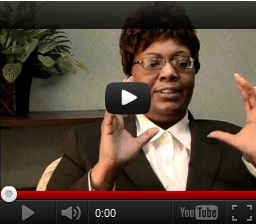 But I have come to realize, her advice is exactly what I needed at that moment. It was a reality check that this thing I was facing would be around for a while. And I needed a coping mechanism. I constantly tell myself “I refuse to let my symptoms get the best of me” and I keep on living, hoping that each week that comes by will be the breakthrough week for me to find answers. When I spoke to Maria sometime last year, we shared almost the same spirit, agreeing not to sit on the side lines, waiting for something to happen, we have to make things happen for ourselves. And this proactive approach, this stand up for yourself approach, is why I love MEBO so much. And this sentiment is also shared by MEBO Directors. I volunteer for MEBO now - realizing there is so much work to be done, and so little help. I applaud Maria’s continuous passion, especially when she tells me, “I get hundreds of emails a week and I try my best to reply back with a personal response, and feel terrible when I can’t respond”. The reason I say friends, is that we are not just a community of strangers - we share common stories and common goals. We feel the same emotions, pain, struggles and social concerns of one another.Since then I have had the great pleasure of working with Maria, and everyone at MEBO, the Scientific Advisers, and all of our FRIENDS in the community. The reason I say friends, is that we are not just a community of strangers - we share common stories and common goals. We feel the same emotions, pain, struggles and social concerns of one another. And let me tell you, it has not been easy. There have been many times of frustrations and many, many bumps in the road. From unfriendly inconsiderate sufferers who want answer now - to very mean and unresponsive scientists. Sorry there is no way to sugar coat it. But I try and maintain my composure. 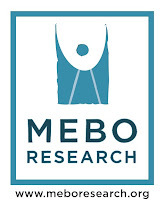 I am excited to say that MEBO is doing many things this year with many potential studies in the works. We continue to work with many great dedicated scientists such as Dr. Stanley Hazen of the Cleveland Clinic and his laboratory team, Dr. Michael Phillips and the Menssana Laboratory team, Drs. Elizabeth Shepherd and Ian Phillips, Nigel Manning, Principal Clinical Scientist, and all the MEBO Scientific Directors and Advisors. It is a shared goal between MEBO and myself that we continue to ask questions, contact experts, contact media and the press, initiate research, so that we can find answers and get the research we all deserve.